This entry was posted on April 25, 2013 by Avel Ureño. Emergency Preparedness for Vehicles. Vehicle Emergency Kit. Emergencies can strike without warning while you’re out on the road. Severe snowstorms, car accidents and mechanical failures could strand you if you are unprepared. If you don’t carry an emergency kit in your vehicle, you may struggle to take care of yourself and your family in these difficult situations. 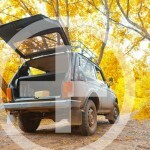 Before you head out on the road, create your own emergency kit for your vehicle. You only need to gather a few simple items to cover your basic needs. Food and water bottles should be the first items to go into your kit. Browse the camping food section at your local sporting goods store for food such as granola bars that won’t expire for years. 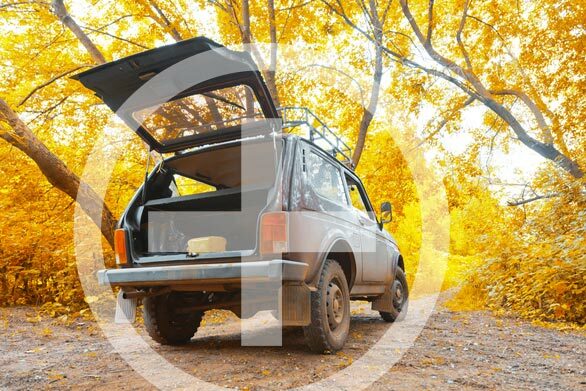 If you get stuck with a broken car during the summer, you could face unsafe temperatures. Your kit should include a tarp to provide shade during a hot afternoon. A battery-powered fan can also provide you some relief from the heat. In winter conditions you’ll need gear to keep you warm, which include an emergency blanket and gloves. Spending the night alone in your car can be a frightening experience and an emergency flashlight can provide you with a strong light to guide you. Also be sure to pack some extra flashlight batteries so you don’t get stuck in the darkness. A first-aid kit can provide life-saving support in an emergency situation. A basic kit includes bandages, tweezers, pain medication and antiseptic wipes. You can easily build your own kit with an empty plastic pouch and a few useful items from your local drugstore. Be sure to refresh your supplies every few years. If you don’t already travel with your cellphone, start the habit immediately. Your cellphone may serve as a vital lifeline if you get in trouble on the road. Make sure to include a car charger for your cellphone in your kit. Packing a solar-powered cellphone charger could also be useful so you can charge your phone even if your car battery dies. If you pack the some handy tools for your vehicle, you will be able to fix some minor mechanical issues to avoid getting stranded. For example, you can use jumper cables to revive your car’s battery. You should also pack a variety of small tools including screwdrivers and wrenches. Even if you don’t know how to use these tools, a passing motorist should be able to assist you.